Yurt camping is often considered glamping—with beautifully-decorated tents, string lights, and other cozy comforts, many don’t equate yurts with serious backcountry camping. 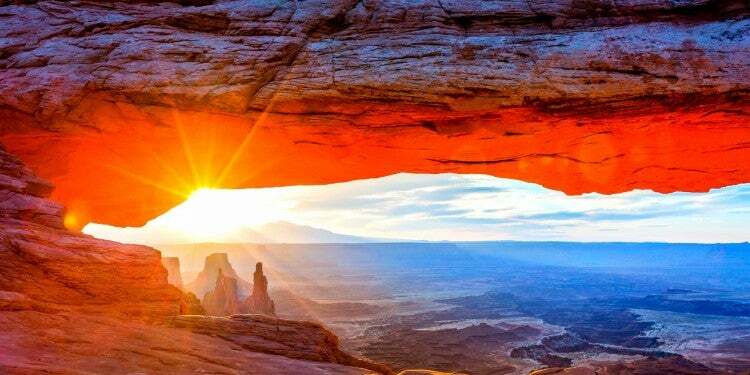 Certain yurts in Utah, however, exist to break that notion. 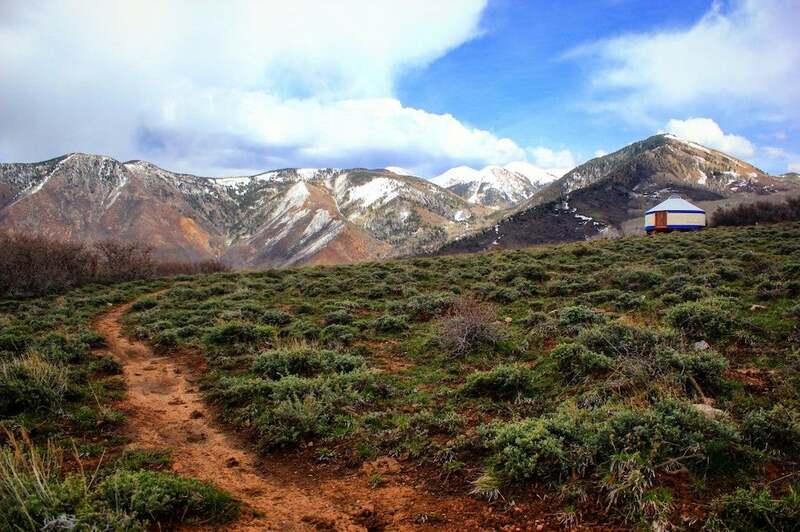 Utah’s backcountry yurts can be found on some of the state’s most popular trails and public lands. Since these yurts are established in the deep backcountry, you might not have every glamping comfort available in them—but it beats a lean-to, right? For those unfamiliar with yurts, here’s the basics: they’re round structures, usually wrapped in canvas, with wood framing. If you’re reserving a glamping one, odds are you’ll get amenities galore—these yurts in Utah, however, are functional before fancy. They offer comfortable amenities like wood-burning stoves and beds, but you shouldn’t expect a spa treatment by any means. Many yurts in Utah are on public lands, but are operated privately. The popular ones can be sought after intensely, so you’ll want to check for reservations far in advance. Some Utah yurt enthusiasts book their dates the minute reservations open, and some of the yurts on this list require a lottery for access. 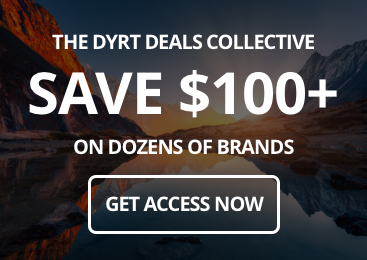 An important factor to keep in mind is the additional cost of a training, which some yurts require. If it’s your first time accessing the yurt, they’ll likely send along a guide with you to learn how to take care of the yurt and clean up when your trip comes to a close. This packing list is flexible, depending on the accommodations offered in different yurts in Utah. 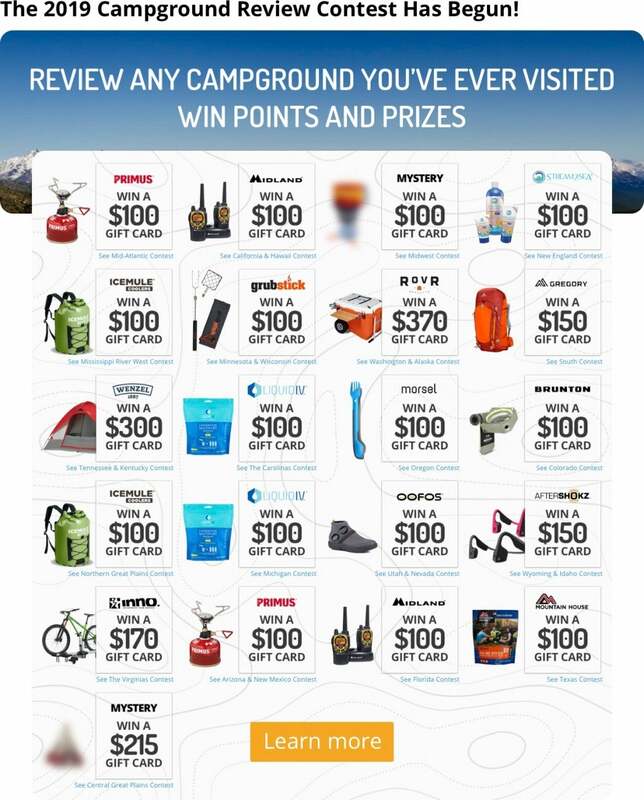 Always check with the owners and the website ahead of time so you’re not packing an additional thirty to forty pounds of stuff you won’t need. Sleeping Gear: While one of these Utah yurts might already have a mattress, it’s likely you’ll need to bring sleeping equipment for the night. These include a sleeping bag (0-degree sleeping bag if going in the winter), a sleeping bag liner, an inflatable pillow, and extra socks. Cooking Gear: This includes not only basic groceries and meal essentials (like oil, salt & pepper), but possibly pots, pans and a backpacking stove. If you’re with a large group, consider taking more than just freeze-dried backcountry meals. 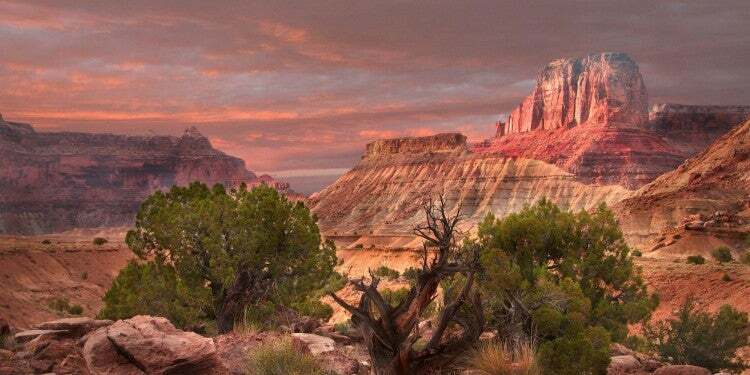 Utah has a record acreage of public land—the third highest percentage of public land behind Alaska and Nevada—for even more outdoor adventures, and there’s countless Utah yurts in the backcountry to make your home base. Here are six of the best on public lands across the state. The TUNA Yurt is the granddaddy of backcountry yurts in Utah, having been open for over twenty years. 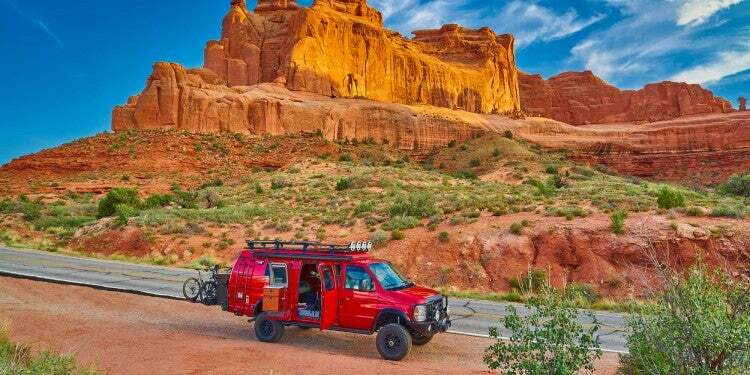 Situated deep in the Uintah National Forest and operated by The Utah Nordic Alliance (TUNA). As the only yurt in Utah accessible from the west side of the Uintas, it’s very popular year-round. With a 3.5 mile ski-in or snowshoe-in in the winter (a hike in the warmer months) and only 1,000’ elevation gain, it’s also easily accessible, requiring roughly 2-3 hours time to reach. Pots and pans are included with the yurt, as well as chopped firewood and a natural spring flowing year-round, just 100 feet away. To make a reservation, you need an active TUNA membership which you can purchase for $40. There’s moderate and expert terrain for hiking, biking or skiing surrounding the yurt for all levels of enthusiasts, and you’ll be close enough to return ‘home’ to the wood-burning fireplace and propane stove in no time. 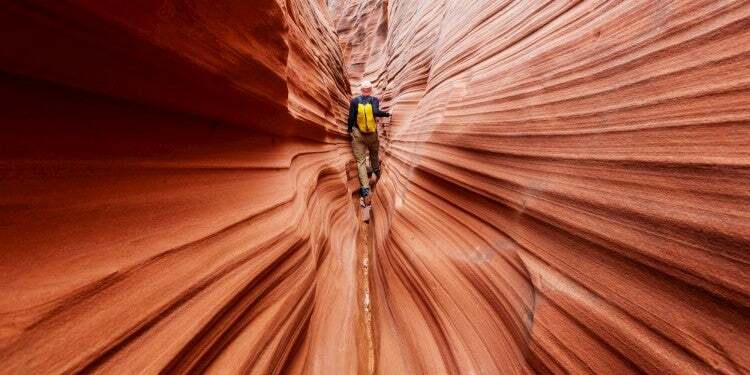 When you think of the Utah desert, you probably don’t think deep, remote mountains. 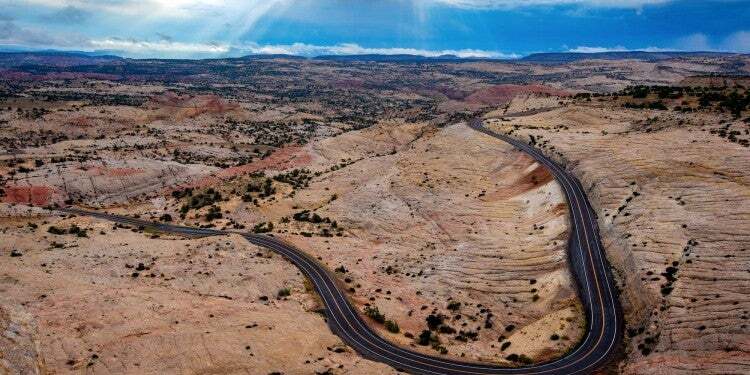 But the La Sal Mountains—featuring Talking Mountain Yurts—will show you a world beyond red rock desert and Utah’s “mighty five” national parks. There are currently two open yurts in the Talking Mountain system: Geyser Pass and Gold Basin, both of which are accessible from the Geyser Pass parking area. Each yurt sleeps eight and offers the same amenities: cooking equipment, dining table and chairs, beds (no bedding), wood burning stove, and a library of games. Maintained year-round in a tag-team effort by the Bear River Outdoor Recreation Alliance (BRORA), the USFS, and the Boy Scouts of America, the six BRORA Yurts in Utah are perfect for your next backcountry getaway. A helpful tip: by helping out at one of their summer volunteer events, you get first dibs on reservations. Of the six in the system, the Bear Claw, East Fork, Lily Lake, Ridge, Boundary Creek options each sleep eight people max, while the newest addition, Beulah Vista, sleeps 12. All but the Boundary Creek are accessible via groomed trails—the Boundary Creek yurt requires route-finding capabilities. Each comes equipped with a propane stove, pre-cut firewood, and cooking utensils. Reservations for the Millcreek Canyon Yurt operate on a lottery system, making it possibly the most-coveted yurts in Utah. 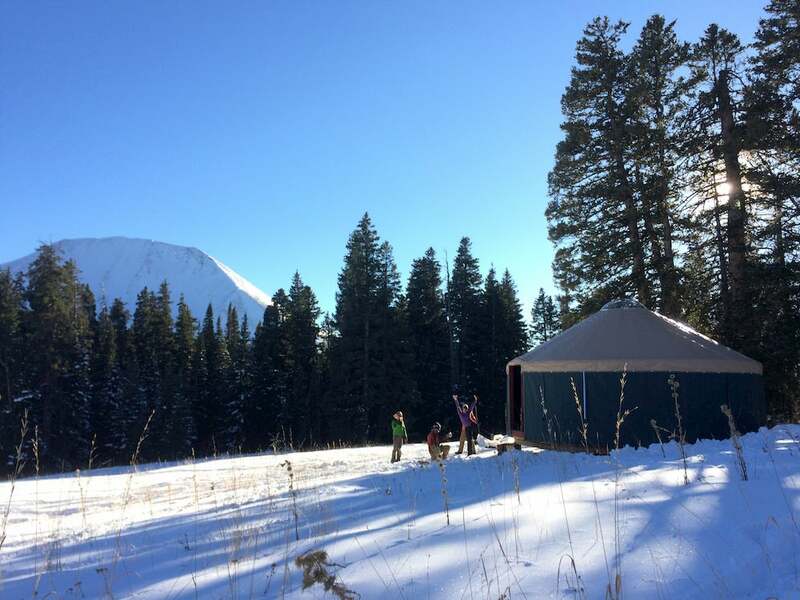 The Millcreek Canyon Yurt is only available for the winter season, and gets erected at the trailhead of Upper Big Water at the start of the season. With a vault toilet and nearby creek for fresh, easily accessible water, the amenities and low price-tag ($75/night for 8 people), make the Big Water a big seller. 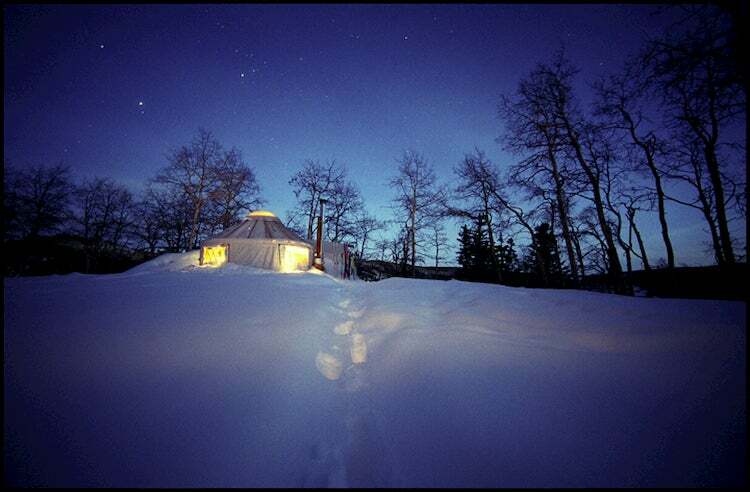 Beyond the amenities, this yurt’s major draw is it’s winter skiing options. From the front door skiers can access Powder Parks 1,2, and 3, as well as the Beartrap Aspens, Tom’s Hill, and Gobblers Knob. Blind Hollow Yurt is operated by Utah State University in the Uinta-Wasatch-Cache National Forest up Blind Hollow in Logan Canyon, and only reservable in the winter season. As a university-owned structure, students receive first priority for yurt bookings on the weekends, but if you play your cards right you can still score a few nights throughout the winter season. 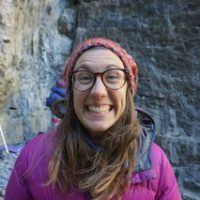 Almost everything is provided in terms of eating and sleeping at Blind Hollow–sleeping bag, sleeping pads, and sleeping bag liners are all available, and USU provides two hosts to ski in with you to find the yurt. There are more stringent rules here, like no alcohol, no dogs, and no snowmobiles, but the endless snow stashes and technical terrain will make up for it. Also located in the Uinta-Wasatch-Cache National Forest, the Powder Ridge Yurts are three distinct yurts in Utah, and each are reservable only in the winter. 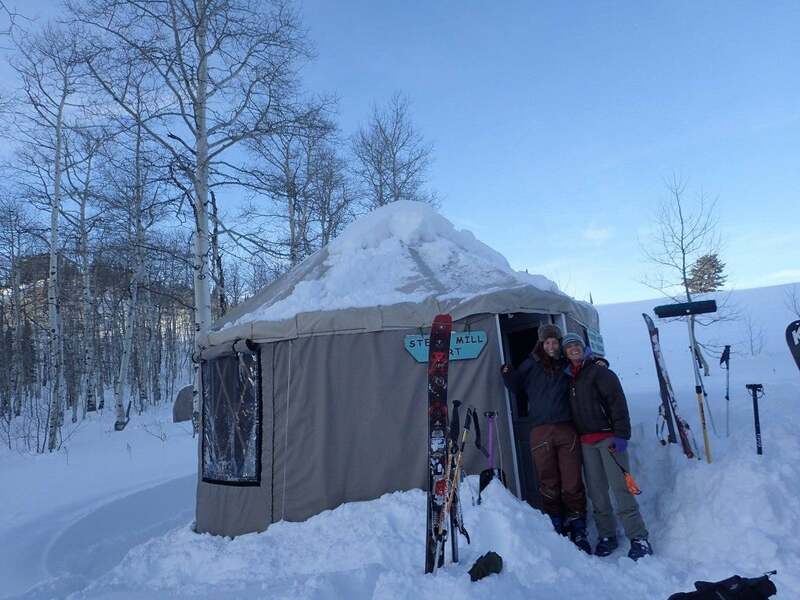 They’re are aptly named—the winter season buries these Utah yurts under massive snowfall. With moderate and difficult terrain surrounding each yurt (each roughly at 8,500 feet), there’s something for everyone—even the friend who wants to curl up by the wood stove and read a book all day. For beginners, the Green Canyon Yurt is suitable as the track follows the summer road up a groomed ski trail for 3.5 miles. Bunchgrass and Steam Mill have 3.6- and 3.3-mile hikes, and 2,000- and 1,500-foot elevation gain, respectively.